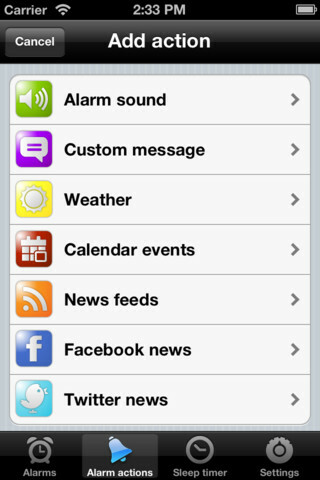 Wake Smarteris a recently updated alarm clock app for iPhone from Crop Duster Media. You can completely control Wake Smarter with your voice, which is pretty cool. But surprisingly, Wake Smarter has a lot more to offer up besides just getting you out of bed on time. Lifehacker and Make Use Of have both had wonderful things to say about this app, and with good reason: it delivers what the developers call a “bedside butler” set of abilities. 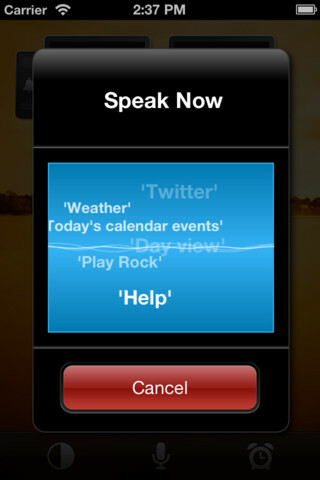 It can deliver your news, tell you about the weather, play music, and link you up with your Twitter & Facebook. There are 20 unique alarm sounds, which is great news for people who like variety. If you’re anything like me, after a month or two of the same alarm sound, you get immune to the chime and start sleeping through the sound. 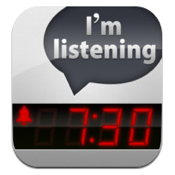 If you need variety, more variety than your built-in alarm clock provides, this is a great option. You can also record your own voice alarms, hear a joke of the day, get sports scores and traffic updates, hear birthday reminders, and even wake up to “celebrity” messages from Homer Simpson, Beavis & Butthead, Stewie from Family Guy, President Obama and more! With 0ver 30 different background photos and designs, 3 different clock faces (digital, analog and night view), and 12- or 24-hour time formats, there are plenty of ways to customize your experience. $3 may seem a little steep when the iPhone already has an alarm, but there are so many different aspects of this app that it’s actually pretty worth it to give this app a try. If you want a little more variety in your alarm clock, or just love the idea of hiring a “bedtime butler,” then check it out. 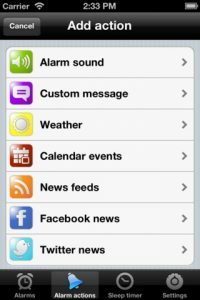 Wake Smarter Compatible with iPhone 3GS, iPhone 4, iPhone 4S, iPod touch (3rd generation), iPod touch (4th generation) and iPad. Requires iOS 5.0 or later.